Within recent years, possessions have become to mean much more to the public than their values. Why is that though? What has made our society become so materialistic, especially if you are not the type of person who is titivated by token tapestry? Maybe these people might know, Director: Martin Scorsese; plus the Beatles, the Pythons, and some other musical chaps as well – as seen on the BBC in 2011, for 95-minutes. 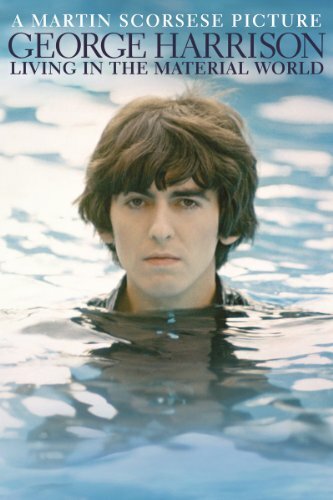 Part one of this George Harrison documentary chronicles the life and times of this humbling man. Now to help filmmaker, Martin Scorsese, carry out this task, of offer, and displayed in a very poignant way, are, archival footage, stock photography, and audio inserts relevant to Georges life. Plus, in addition to this, many pre-recorded interviews are on show too, by the likes of Terry Gilliam, John Lennon, Paul McCartney, Ringo Starr, George Martin, Eric Clapton, Ravi Shankar, Jane Birkin, Yoko Ono, Astrid Kirchherr, Klaus Voormann, Dhani Harrison, Pattie Boyd, and the man himself, George. BEFORE THEY WERE FAB: Young George Harrison grew up in Dickensian Liverpool, with Catholic leanings, and a way about him that was both naïve and insipid at the same time. However, when he was introduced to roguish musician, John Lennon, by his school friend, Paul McCartney, all of this suddenly changed for him in a big way. Well, this was when the band, the Beatles, was first born – with George acting as a levelheaded mediator for both of these fledgling musical adventurers. HAMBURG OR BUST: The Beatles’ time in Hamburg was a very fortuitous one for most of them. They progressed as artists, they innovated their style, they became acquainted with two artistic Germans, Astrid Kirchherr and Klaus Voormann, but they did lose a band member in the process – Stuart Sutcliffe. BEATLEMANIA: With manager, Brian Epstien, guiding their musical careers, the Beatles travelled across the globe, promoting, singing, recording, performing, and selling their musical wares, in a very bold and brash manner indeed. Initially, George was very grateful for this newfound popularity – but, over time, he became to see it as a hindrance to both his craft and to his own self worth. THE QUIET ONE SINGS: After witnessing his fellow band members, Paul and John, writing songs for the Beatles (with additional guidance by music producer, George Martin), George took it upon himself to do likewise. Granted, at first, this was not as easy as he though that it would be, and it did take him quite some time before he got his songs respected on their own merit. DENTAL DRUGS AND RELIGION: George’s time with religion and drugs, did change the way in which he thought about life. OK, primarily, this was nothing more than a recreational pursuit, which allowed George to while away his time – especially when John Lennon’s controversial ‘Jesus’ comment hit the headlines. 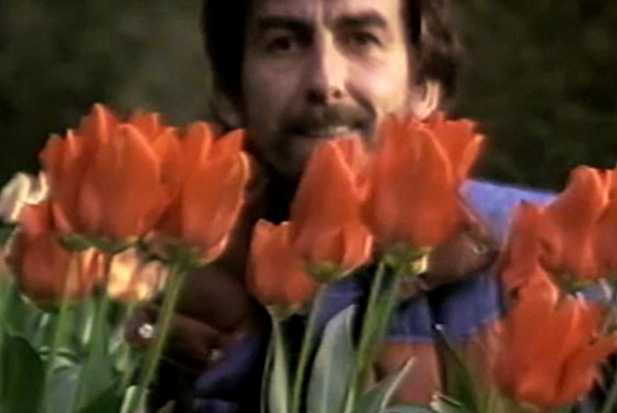 Though, as time went on, George learnt about different techniques to channel his energies in a more positive way, and spearheaded by people such as Ravi Shankar and the Maharishi Mahesh Yogi, he began to change as a person. INSPIRATION AND INTENSITY: With George quickly developing into a new type of a man, the people around him started to see him in a different light. The Beatles became to respect him as a songwriter – his wife, Pattie Boyd, felt his newfound energy – his friend, Eric Clapton, started to perceive the different way in which he worked – and overall, George became ready for the evolution of his career. To paraphrase George Harrison in ‘George Harrison: Living in a Material World’ – ‘How many Beatles does it take to change a light bulb? Four’. Now the reason why this particular quote is so relevant about this documentary, is that in a rather conceptual way, this saying reflects what this part of the program is all about. Like: (1) How George perceived his time with the Beatles. (2) That this part of this program primarily focused about Georges’ time with the Beatles. And (3) This phrase is both a silly and strange thing to say – which theoretical dichotomy basically sums up George to a tea. You see, practically, what is so great about this program, is that it paints a very clear portrait of who George Harrison was. For a start, all of the people who are interviewed about him, do say similar things – that he was nice, observant, and had a ‘take no nonsense’ attitude. Next, unlike some of the other Beatles documentaries I have watched, on show, there are quite few new pieces of footage that I have not seen before – and I particularly liked the David Frost black and white interviews, because they were all very ‘of its time’. After that, I would have to say that even though the structure of this piece isn’t too linier in its approach, at the same time it does manage to tell an enveloping story – one that does feel fresh, considering how many I have watched. Plus, I did like the way that Dhani read some of Georges past correspondence to his parents – this I thought was particularly revealing and innovative. And finally, I really loved the abstract idea about this feature – to tell the life and times of a man who had it all, yet did not appear to like the idea of commodity. Well, as I said at the beginning of this review, George Harrison was a man that is both silly and strange – in a good way of course – and this conflict of tones is becoming all to apparent as this feature progresses. Personally speaking, ‘George Harrison: Living in a Material World’ is like a dream come true for me. I love the works of the director of this piece, Martin Scorsese, and I like the subject matter too, George and the Beatles. Honestly, I cannot fault what has been presented to us so far – it is intriguing, it is well documented and researched, and it is very enjoyable to watch as well. Though, if I did have a small gripe about this program – and I do mean small – it is that I was not too keen on how certain facts have been put to one side. For example, like how George met Patti (on the set of ‘A Hard Days Night’), as well as the way in which Pete Best was dismissed from the Beatles (he was sacked). Nevertheless, this great documentary is a must see movie for anyone who is a fan of the Beatles, or likewise enjoys knowing about the life of a man that is both avant-garde and thought provoking. Wouldn’t you agree George? Because how would you sum up this program about you?